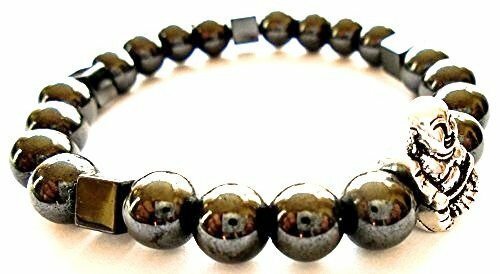 Lovely Black Shiny Hematite Bracelet. Suits Ladies or Gents. Believed to help with arthritis, migraines, headaches, improving energy levels and healing. ♥ DO YOU KNOW? 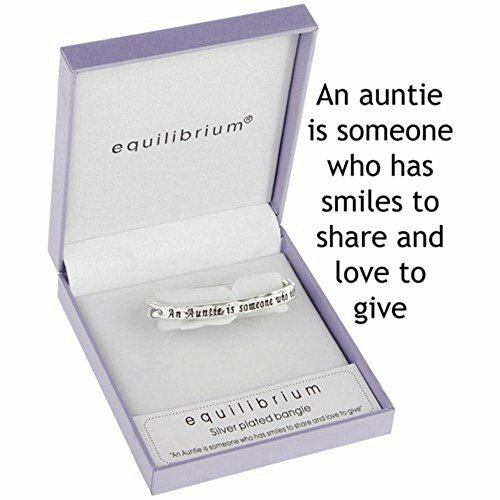 ♥ It’s made of 100% solid 925 silver sterling with white gold plating. Lead-Free & Nickel-Free, passed Swiss SGS Inspection Standard, no harm to health, no allergy to skin. 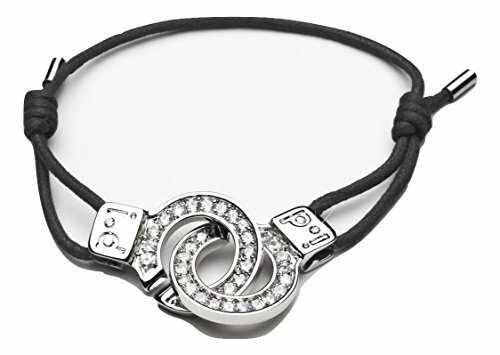 In our store, all charms and dangles are well compatible with PANDO European bracelets; the built-in silicone stoppers and other spacers are ideal decoration to your bracelets; our lockers and safety links can prevent your beads falling off your bracelets. 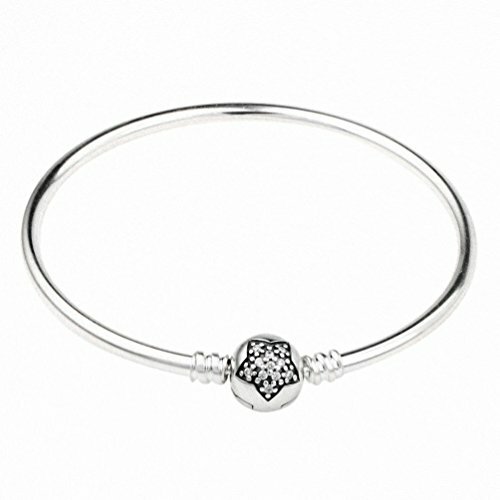 ♥ MEET YOUR NEEDS ♥ We have powerful design capability to bring trendy new arrivals every month. To cater for your different occasions, you are suggested to refer to guidelines in below description and select in our wide range of classified collections. ♥ READY FOR GIFT ♥ You will receive our jewelry with an elegant gift box and fine ribbon. You may DIY a heartful gift for your unforgettable moment in Christmas Day, Anniversary Day, Valentines Day, Mother’s Day, and other special days. 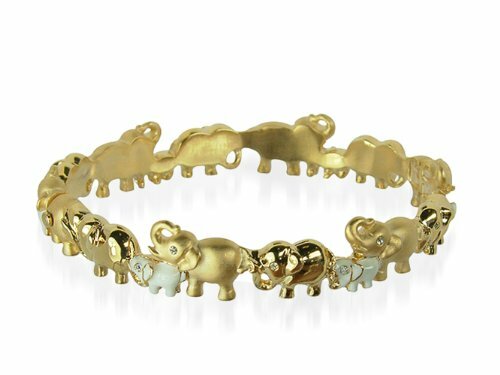 Ideal gift for your love ones and some party and so on. 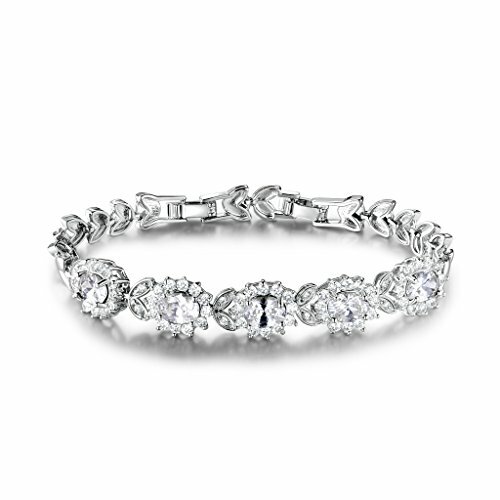 18k White Gold Plated Brass + Cubic Zirconia. Smooth polish. Length: 21cm(8.2″). Main stone size: 6mm*8mm. 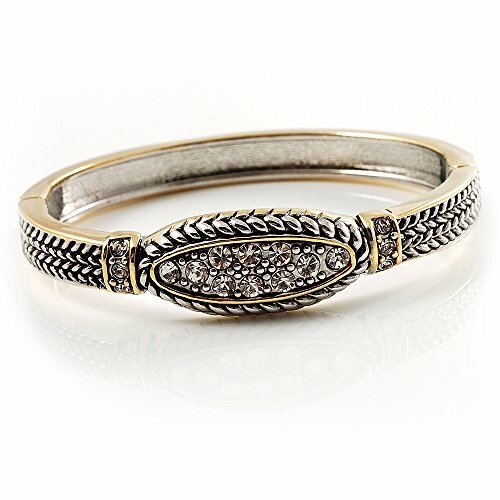 Elegant prong Setting A+++ Cubic Zirconia bracelet.Made using cubic zirconia gemstones, which is well known as a substitute for diamond due to its high hardness and great fire. 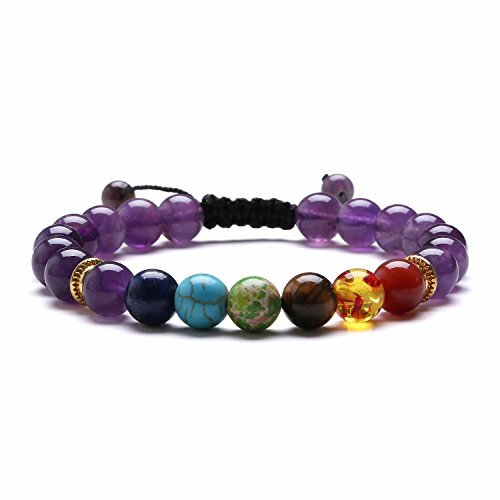 ♬7 Chakras Bracelet♬ Root Chakra, Sacral Chakra, Solar Chakra, Heart Chakra, Throat Chakra, Third Eye Chakra, Crown Chakr, each chakra are strung with 8mm Amethyst beads. 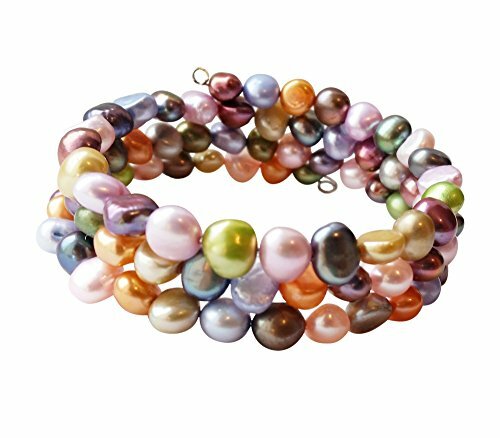 ♬Material & Size♬ 100% Authentic Stones – Amethyst, Lapis Lazuli, Turquoise, Green Sea Sediment Jasper, Red Agate, Tiger Eye Stone, Synthetic Amber. 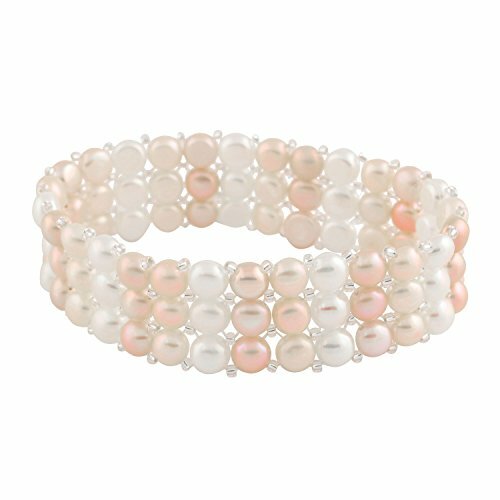 Our classic beaded bracelet is crafted by hand from a strong 100% nylon string. 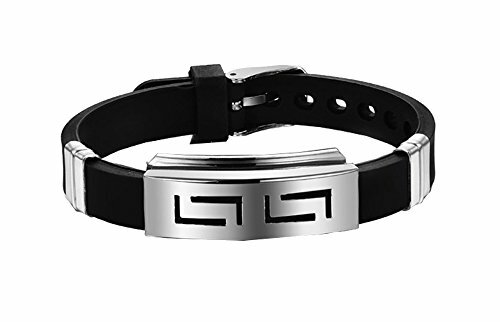 Fits wrists from 6 to 9 inches. ♬Great Sprritual Meditation♬ Root Chakra stone for protection, Sacral Chakra stone for balance, Solar Plexus Chakra stone for strength/stealth/vitality, Heart Chakra stone for ward off negative energy, Throat Chakra stone for healing, Third Eye Chakra stone for clarity, Crown Chakra stone for calm/peace.